We have puppies! And, not just any puppies. 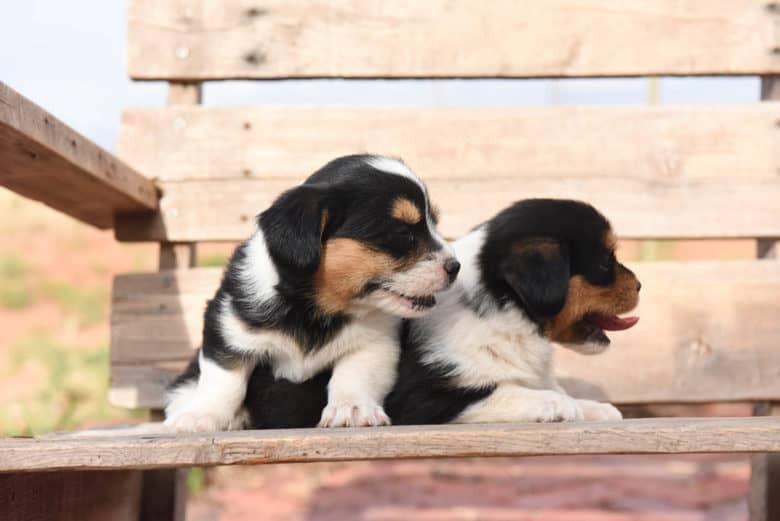 We have Corgipoo puppies! Talk about adorable! They were born April 29 and it is now time to send them to their new homes. Wow, how quickly 6 weeks passed! But we are ready to send them to great homes where they will be loved and cared for. We own the parents as family pets. They go with us in the vineyard and relax on the patio with us. We consider them both wonderful companions! The Pembroke Welsh Corgi is a long (by its body compared to the legs), low to the ground dog. Its back is actually not longer than those of most dogs’; their legs are just very short in comparison. The skull is wide and flat between the ears. The stop is moderate. The topline is level. The nose is black and the jaw meets in a scissors bite. The oval eyes are shades of brown depending on the dog’s coat color. The eye rims are black. The erect ears are medium in size, tapering slightly to a rounded point. The legs are very short. The feet are oval in shape. Dewclaws are usually removed. The dog is sometimes born with no tail, and is docked as short as possible when it does have a tail. Some Corgis are born with longer coats called the “fluffy Corgi” or “longhaired Corgi.” These dogs do not make the written standard and cannot be shown. 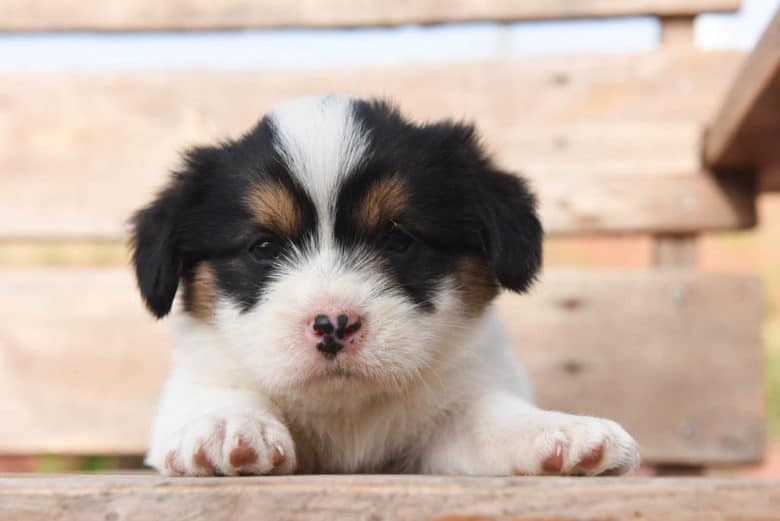 Coat colors include red, sable, fawn, black and tan with white markings. There are often white markings on the legs, chest, neck and parts of the muzzle. When groomed to show dog standards the Miniature Poodle’s body is meant to give off a square appearance. It is approximately the same length as the height at the withers. The skull is moderately rounded with a slight but definite stop. It has a long, straight muzzle. The dark, oval-shaped eyes are set somewhat far apart and are black or brown. The ears hang close to the head and are long and flat. Both the front and back legs are in proportion with the size of the dog. The topline is level. The tail is set and carried high. It is sometimes docked to half its length or less to make the dog look more balanced. Dewclaws may be removed. The oval-shaped feet are rather small and the toes are arched. The coat is either curly or corded. It comes in all solid colors including black, blue, silver, gray, cream, apricot, red, white, brown or café au lait. While it does not make the written show standard, some breeders are breeding parti-colored Poodles. We knew these puppies were going to be super cute! Bangles, our tri colored Pembroke Welsh Corgi, gave birth on May 29th. This was her first litter. She, like another corgi we had, Bob, loves to play fetch! He is actually a bit afraid of them and doesn’t like them coming at him! It doesn’t seem to bother them though, they just keep trying to win dad over. Bangles had 4 girls and 2 boys. All but for one of the boys and one of the girls have the typical tricolored pattern. They have a typical tri corgi face but their body is mostly white. Girls rule! We put them on the top in this picture. All of the corgipoo puppies look like corgis and have a similar body structure. Corgis are very smart dogs. Originally bred as herding dogs, corgis are very energetic. Bangles loves to herd and that includes cows, chickens and children! They work great on farms but equally well in apartments – one was a great companion for my elderly mother. 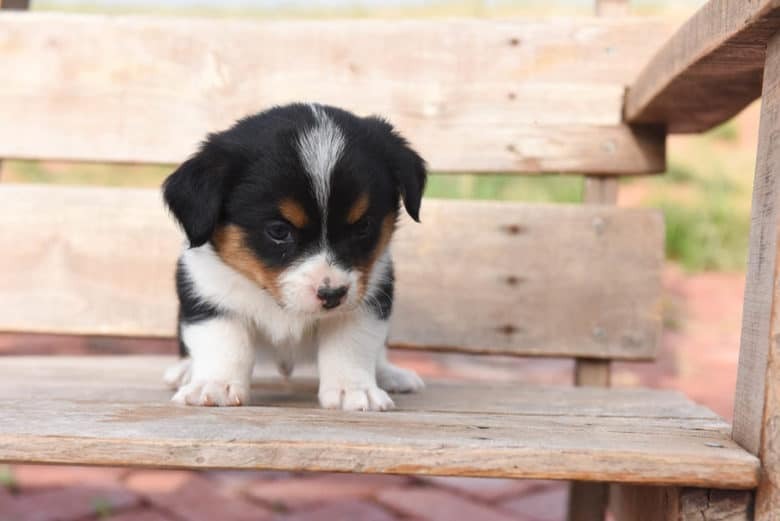 What is the benefit of corgipoo puppies? A corgipoo should not shed. The Corgipoo is affectionate and loving but if there is a rule to break he will do it! It is lucky they are so cute otherwise they might drive you crazy with their tricky ways! They are sweet dogs, clever too and their antics will have you laughing and sometimes shaking your head. They have a lot of energy. [Corgipoos] like to be with people… they are not always good at being alone for longer periods. Scamp is quite an apt description of these guys and he will demand a lot of attention. For that reason socialization is especially important otherwise that mischievous could become destructive and out of control. 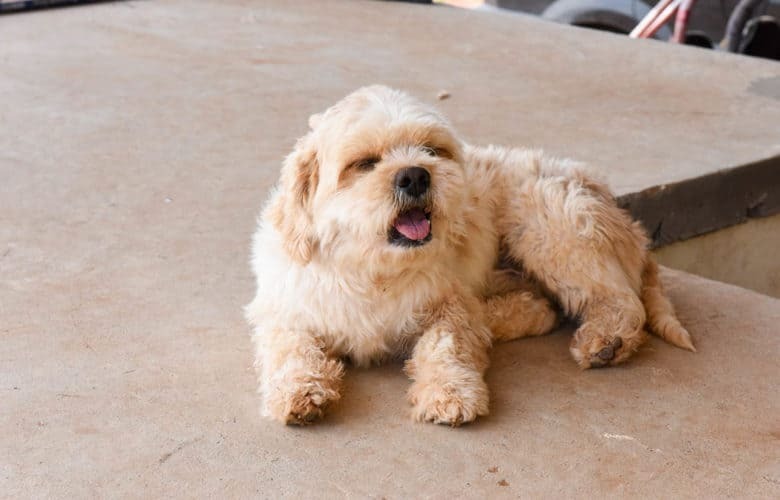 A shih poo is a shitzu-poodle mix. Both of these breeds are hypoallergenic. Therefore, corgipoos have the great potential to also be hypoallergenic! The puppy photo session was done so I could list them on Craigslist. All puppies were cooperative and just plain cute! Those girls liked it on top of the bench. 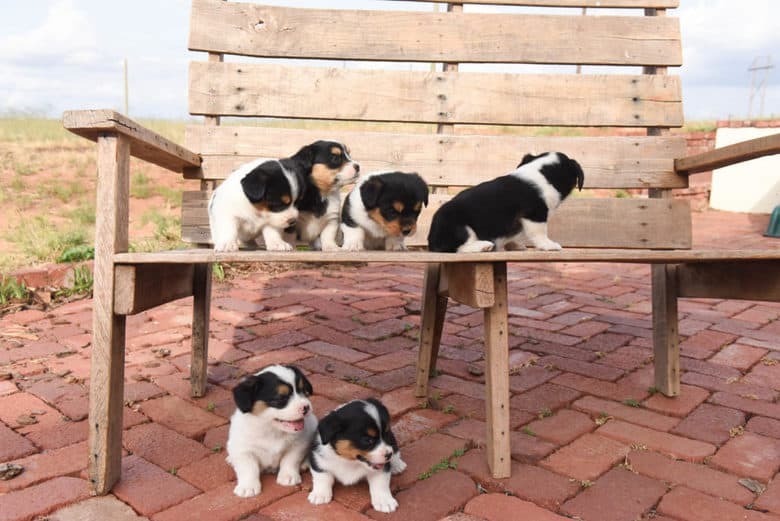 I am excited to say that in 1 1/2 weeks, I had deposits on everyone in our first litter of corgipoo puppies! I am amazed at how many other people want a corgipoo and have a waiting list for the next litter. Let me know if you have any interest in adopting one! 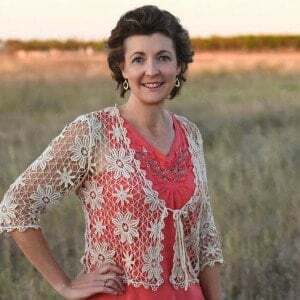 Feel free to reach out in the comments or through this website. Like I said, I love having puppies and thankfully my family does too! Since posting the last photos of our puppies, I have had a lot of requests for a puppy. If you are interested in a corgipoo of your own, leave a comment and I will get you more information about them. We are very interested in corgipoos. Will you be having more litters? Sadie, I sent an email. Hi! I would like more information! We are from Phoenix AZ and was wondering where you are located and how much a puppy would cost. Thank you! Kasandra, I sent an email. Chapman, I sent an email. Rhonda, I am sorry for your loss – they really do become part of the family. I sent an email with details. Will you have corgipoos available for spring/early summer 2019? 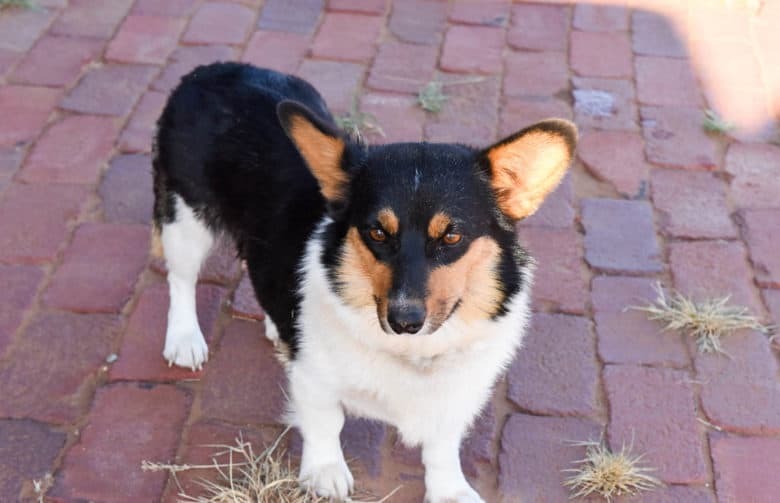 My wife is graduating and she would love a corgi mix. We currently have a corgi chihuahua mix that is super sweet and gets along with other dogs. Seth, I sent an email! Will a new litter be born soon? Where are you located and how much ? Terry, I sent an email. 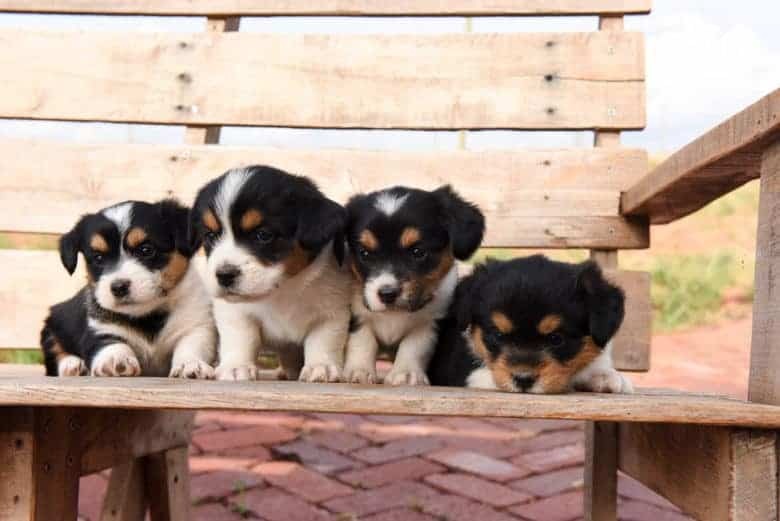 I would love to add a corgipoo to my family, please let me know if you have any upcoming litters available or any information where I could get one. thanks in advance. Mindy, I sent an email. I am interested in learning more about your corgipoo puppies. CSN you email me contact information. Laura, I sent an email. Hi, where are you located, and do you have any Corgipoo pups for sale? If so, how old are they and what is the price? Ann, I sent an email.